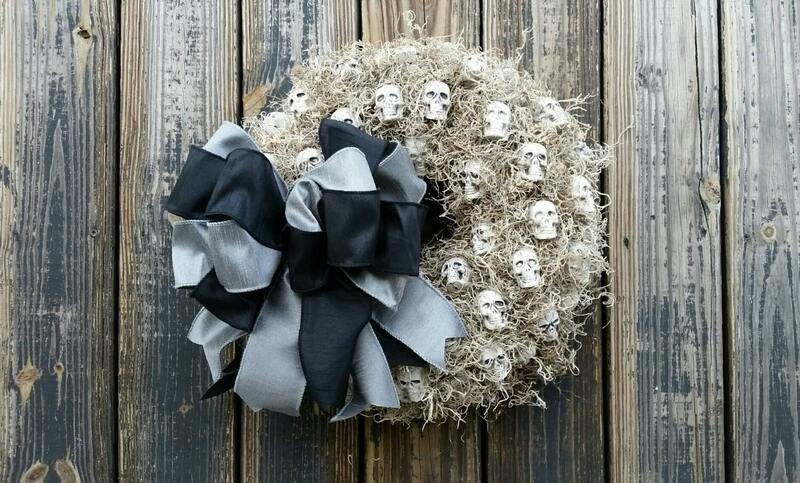 If you are a fellow Halloween lover or a lover of all things Gothic this wreath is for you! 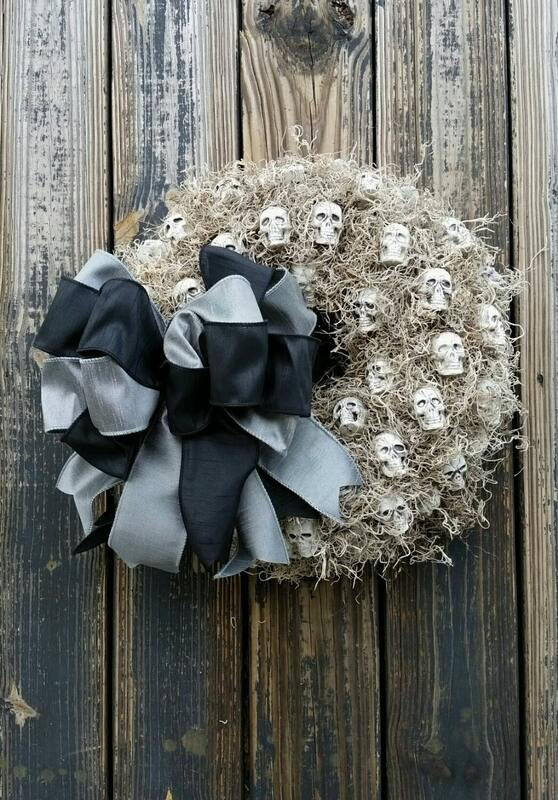 Tucked amid Spanish moss you will find dozens of miniature skulls. 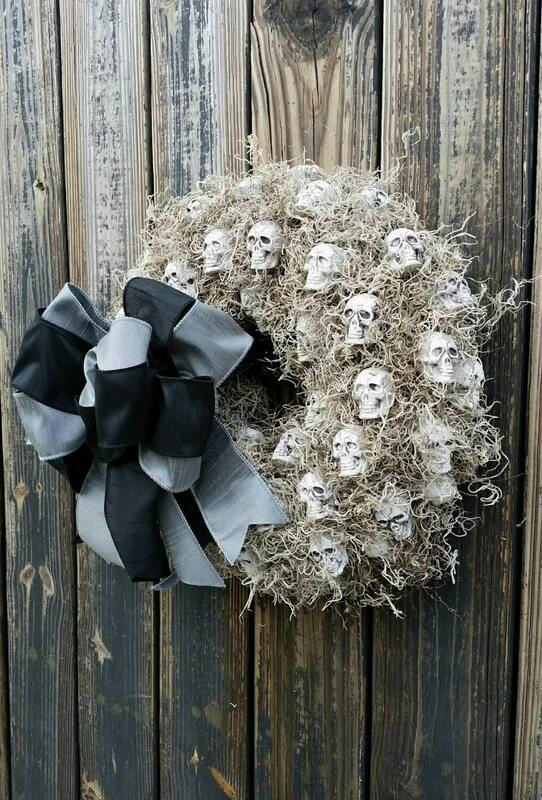 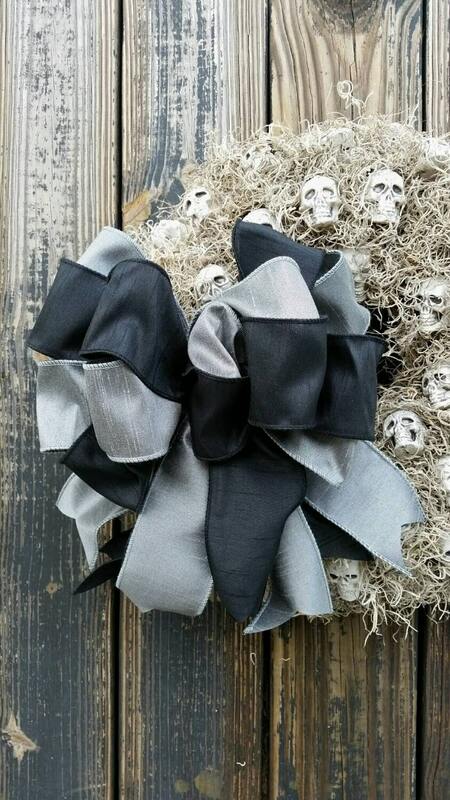 A black and gray bow tops this spooky wreath. 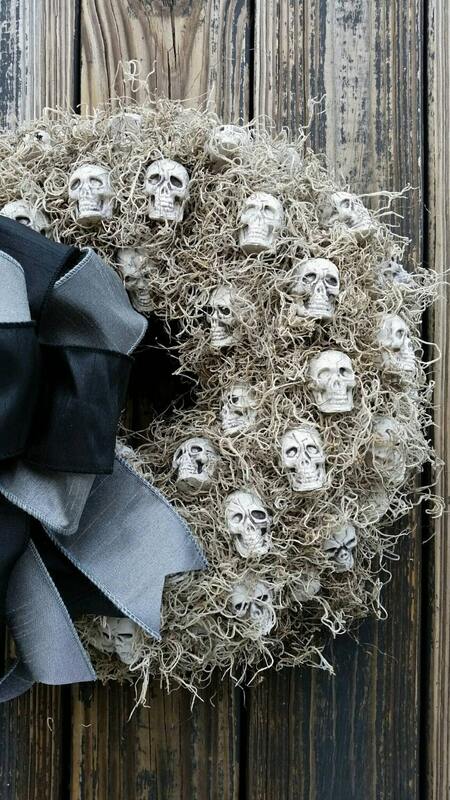 Measuring approximately 19 inches (tip to tip) this wreath was created on a straw base wrapped in spanish moss.